Winter fun for everyone! 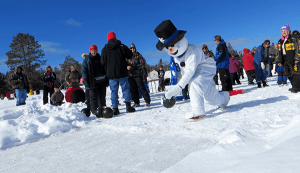 Join us for snowshoe baseball, horse-drawn sleigh rides, recliner races, snow sculpting competition, ice bowling, dog sled dash, artisan bazaar, warming fires and more! Proceeds benefit area Fire and EMS Departments.